Learn about one of the must influential arrangers and composers in Jazz history. 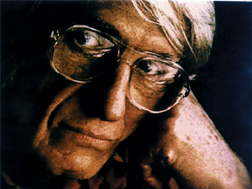 Best known for his collaborations with jazz great Miles Davis, Gil Evans became one of the most influential arrangers and composers in jazz history. This DVD program will focus on Evans passionate career, from his early days working with his first band in the 1930’s all the way through the 1980’s. Highlighting his work with Charlie Parker, Gerry Mulligan and John Lewis, this DVD will feature how his influences can be heard in Big Band Jazz as well as the new sounds of Cool Jazz and Jazz Fusion. Including discussions about one of most famous albums, Porgy and Bess, which brought him into the forefront of Jazz music, this DVD will take you into a behind-the-scenes look into Evan’s life and how his unique personal sound, compositions and use of instruments not normally heard in jazz arrangements, forever influenced how musicians played and listened jazz.